Skin Revive Himalayan Bath Salt Blend is infused with pure essential oils of Geranium, Grapefruit, Vitamin E Oil and added Chamomile Flowers. Bath Salts have lots of healing powers and when combined with pure essential oils they make for a relaxing or energising bath depending on the mood you are in or want to create! Soothe, moisturise, nourish and repair your damaged skin with a relaxing soak in the bath with our skin revive bath salts. The healing powers of Himalayan bath salts are well-documented, mineral rich, with 84 minerals to be exact, bath salts were used by the Ancient Greeks. 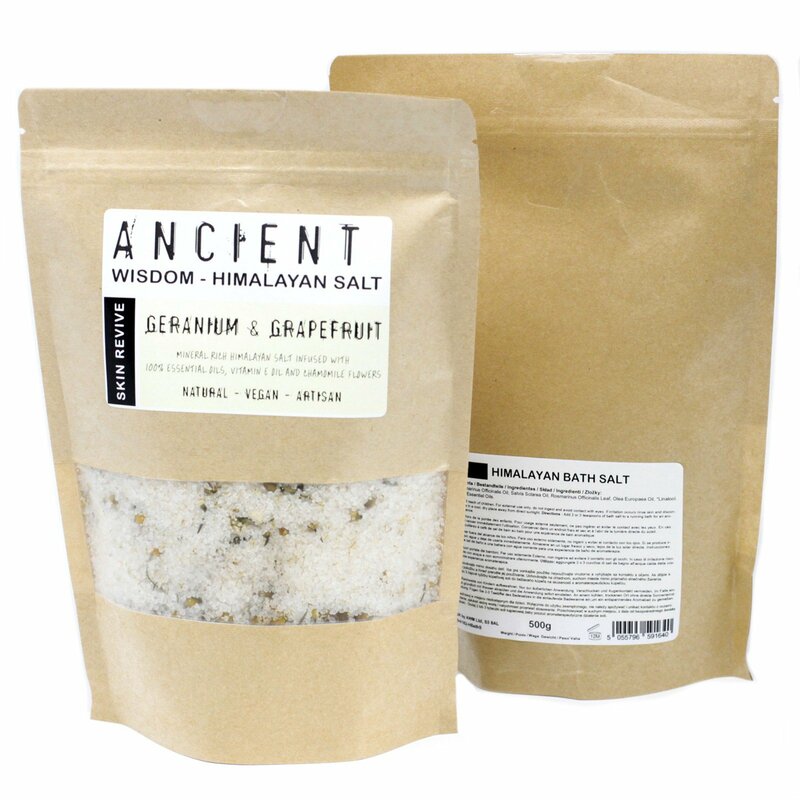 These Bath Salts are the Himalayan variety and are the best quality salts avaliable, with lots of pure geranium and grapefruit essential oils and added vitamin E oil, plus added chamomile dried flowers for the ultimate skin reviving bathing experience. When you put these salts into your bath you will fill the air with the aroma of the essential oils.